One of the more common birds, the European Robin can be found across many environments including gardens and school grounds. It’s description is self explanatory from it’s picture as this species is hard to confuse with any other British bird. However, juveniles lack the notable red breast so could be confused by novice bird spotters with other juvenile perching birds. Europe: excluding Iceland, Norway and parts of Portugal. Asia: Western edge of Russia. Africa: Parts of Egypt and Algeria, Northern Morocco and Tunisia. Topics currently covered – Christmas, America, Mary Poppins, Christmas, Bird-Spotting, British History, Christianity. When searching online using the simple term ‘Robin’ you may get some confusing results with birds that look more like the Blackbird with a red breast. This is because the American Robin is a large thrush-like bird and in America they are simply referred to as a Robin. There are notable cases where this confusion is evident for example in Mary Poppins, although set in London they use an American Robin outside the children’s bedroom. If you need quick information accessible to children for a lesson or bird-spotting, the RSPB have an excellent resource: Robin Fact File. Christmas: The Robin is commonly associated with Christmas in the UK and can be easily fitted in during your Christmas work such as Christmas cards, Christmas Art and descriptive, poetic or narrative writing. 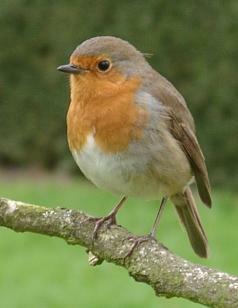 British History: The Robin has often been described as the unofficial bird of the UK. It is regularly given as a ‘favourite’ bird by the public and has been associated with our Christmas since Victorian times. Christianity: There are numerous legends surrounding the Robin’s red breast with the majority involving the story of Jesus.